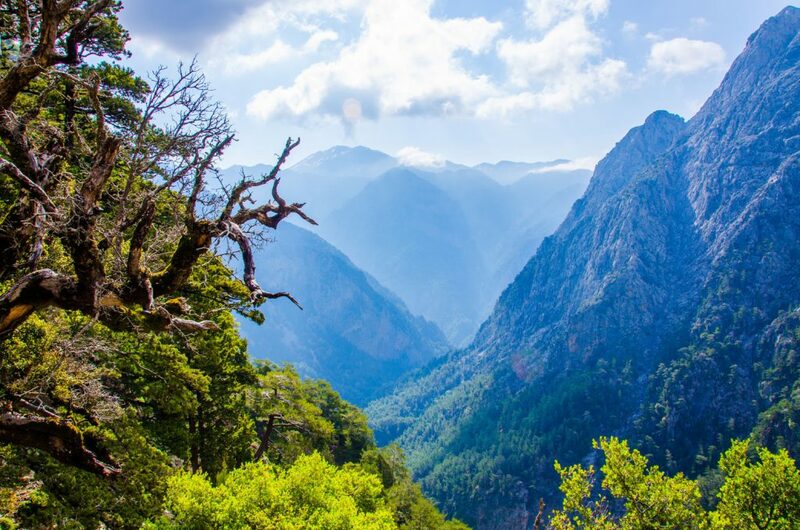 The Samaria Gorge is the largest of Greece and its crossing is the main purpose of the trip for many tourists arriving to Crete. The descent, with a length of 18 kilometers, takes around 4 to 7 hours, depending on the experience and stamina of the hikers. The descent starts from the plateau Omalos in the White Mountains and ends in the seaside village of Agia Roumeli on the south of Chania. The entrance is from the “Xiloskalo” at an altitude of 1,200 meters. You will buy a ticket at the outpost of the National Park. 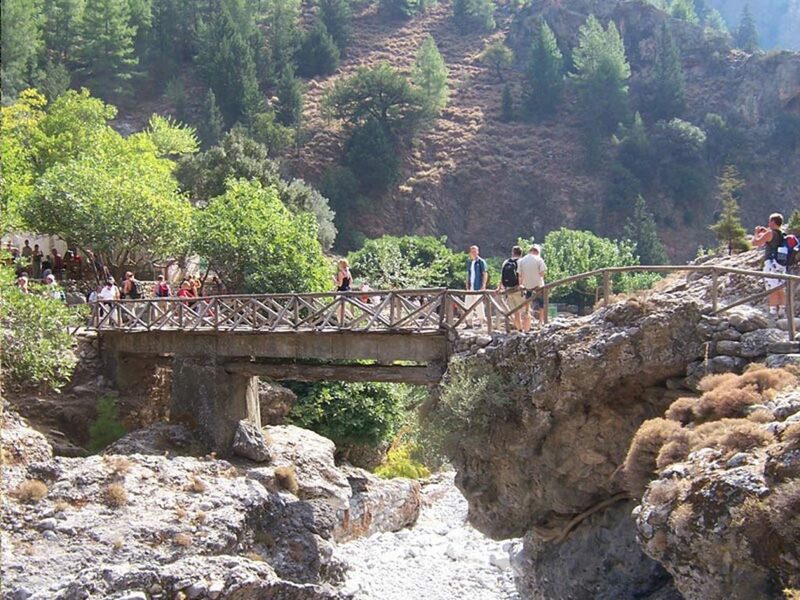 The price is symbolic, but your ticket will be validated upon exiting the Samaria Gorge and it is a way to count those who entered in relation to those who come out of the gorge. 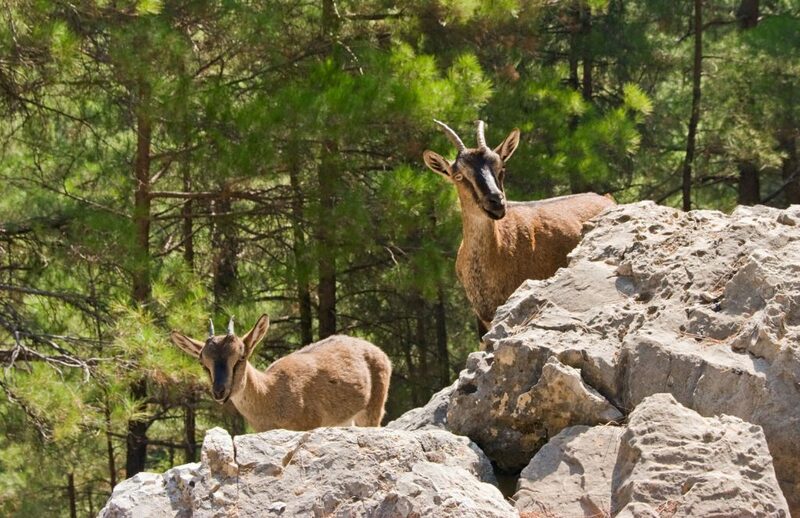 The Gorge of Samaria and a large area, about 48,500 acres has been characterized as National Park and in 2010 joined the World Network of Biosphere Reserves by UNESCO. 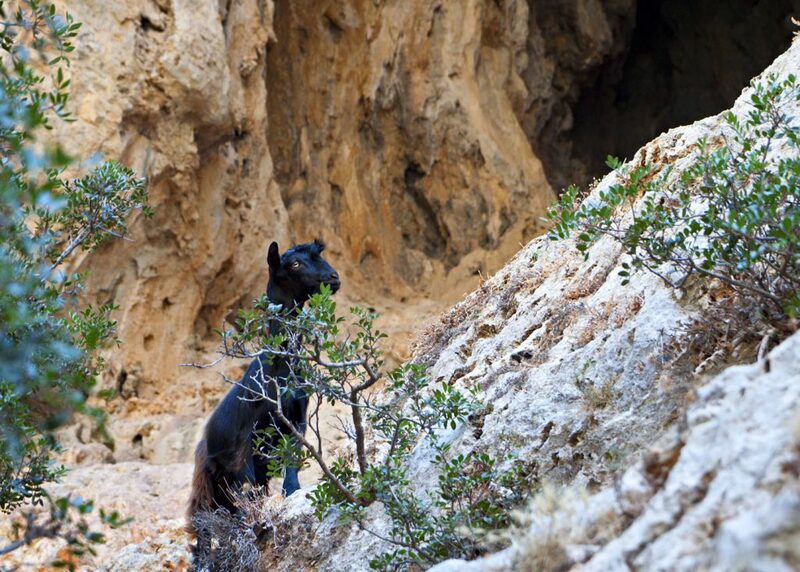 There live the wild goats of Crete, Kri – Kri, and many other animal species not found anywhere else. These are the Cretan badger (Arkalon), the Cretan marten (Zourida), the Cretan agkathopontikos, the Cretan weasel (Kaloyannou). Bearded vultures, golden eagles and buzzards form the avifauna of the park, along with hundreds of other smaller bird species. More than 450 are the species of flora of the gorge, many of which are also unique in the world, so it is forbidden to cut the plants you find on your way. The Samaria Gorge got its name from a small Byzantine church located in its middle, which was built in 1379 and named Saint Mary. This chapel gave its name to the village ‘Samaria’, which was built nearby, and was abandoned by its residents in 1962, with the proclamation of the National Park of Samaria. It is estimated that the formations of the gorge (the main gorge “meets” other, smaller ones, along its length) were created about 14 million years ago, when the geological changes in the region broke the stone blocks. 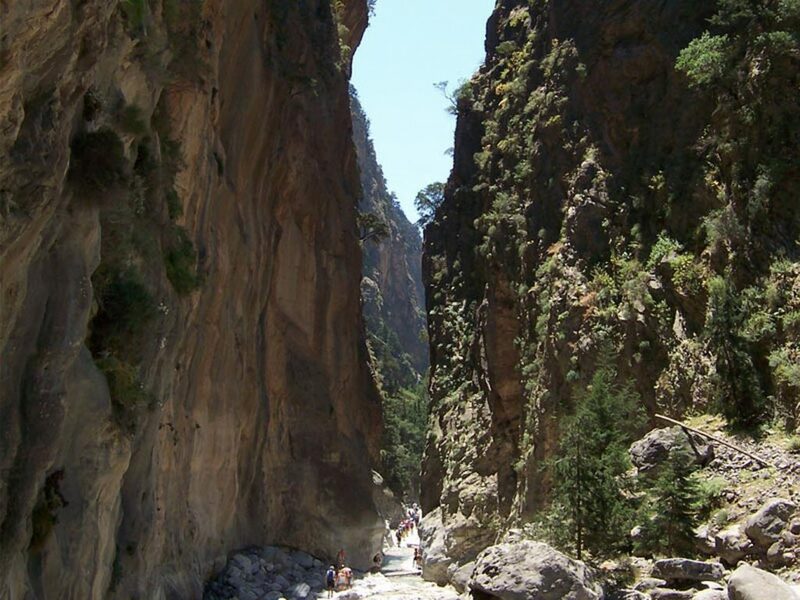 The greatest width of the gorge of Samaria reaches 150 meters, while the narrowest point is the “Doors” – just before the exit – which are 3 meters wide. The rocks there reach a height of 600 meters and the landscape is breathtaking! The gorge is lush and verdant. The meadows alternate with forests of pines, cypresses, oaks, etc. 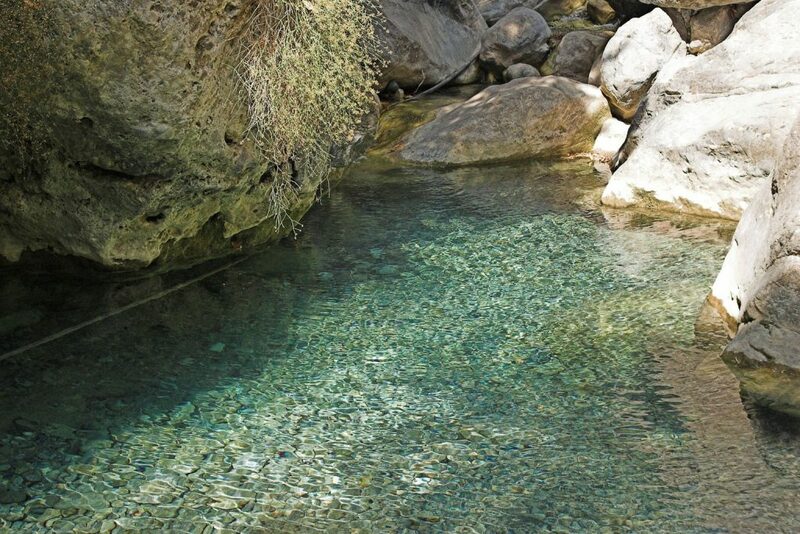 Along the Gorge of Samaria, you will find 22 sources of drinking water. 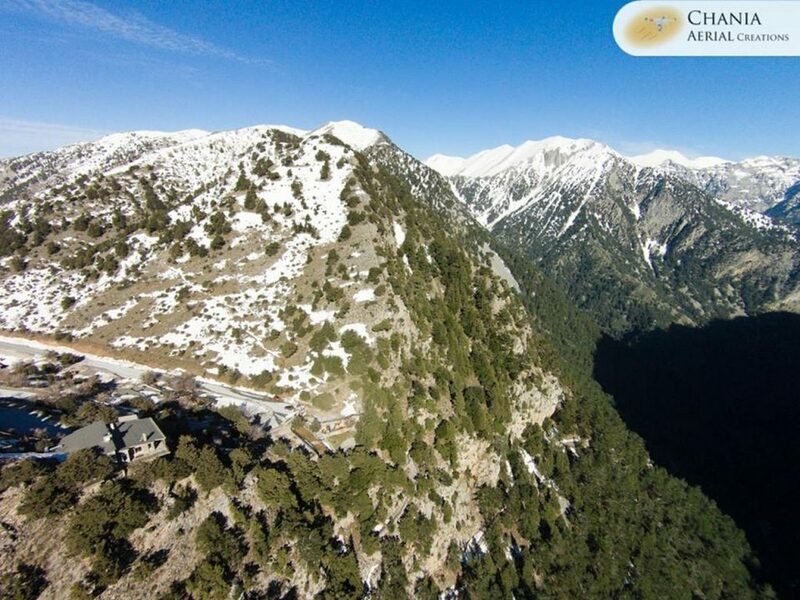 Caves like Demonospilio and inaccessible peaks like the Melidaou at 2,134 meters or Gigilos to 1,864 meters, define and isolate it from the rest of the world. Space and time acquire other properties in this ancient gorge and the close contact with nature makes you reconsider and “look at things in a different light”. The human intervention is distinct in several places, but the few examles have intergrated into the natural environment and are now an attraction as important as the beauty of the earth. These are Byzantine churches, Venetian fortresses, and ruins of ancient cities and early Christian tombs. In the gorge, you will see the deserted village of Samaria, which was the stronghold of Christianity and a reserve base during the Turkish occupation. Today it is used as a stop for hikers and by the guards of the National Park. Just before the exit lie the ruins of the old Agia Roumeli, another village that was abandoned by its inhabitants, to be rebuild on the beach where the gorge ends. 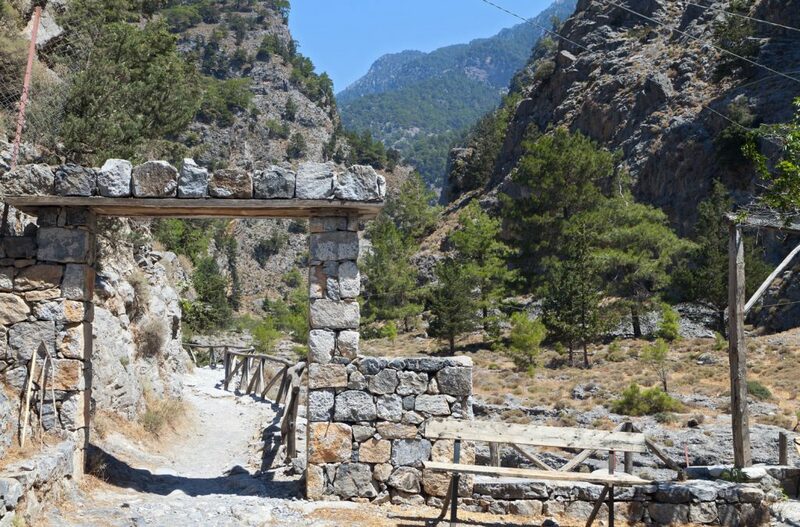 The vast expanse of the Samaria Gorge and the enthusiasm of the hikers is the frequent cause of many diverging from the main path and getting lost, so caution is advisable. You should always follow the signs. 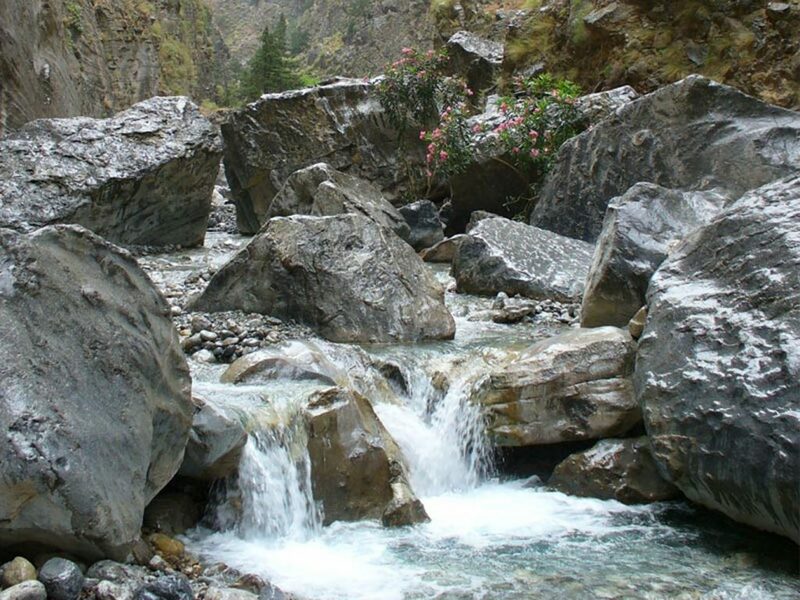 Samaria Gorge is usually open from April to October, always depending on the weather. If you choose to cross it in spring or autumn, you will avoid the crowds. 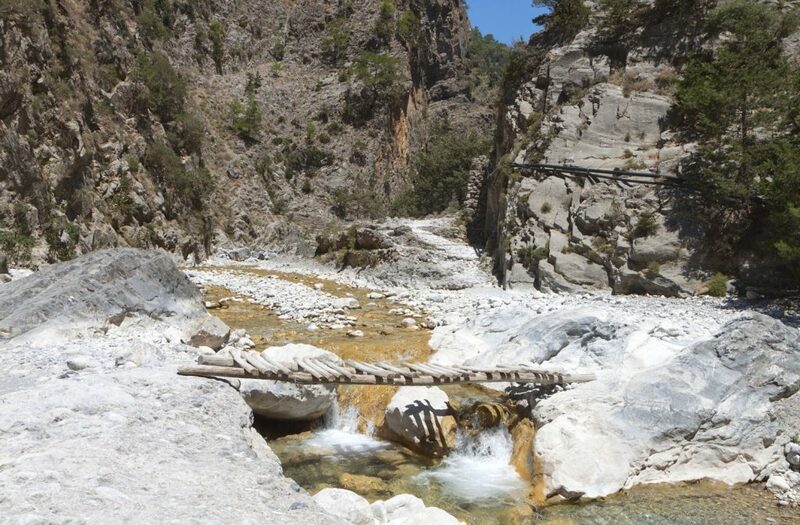 But in the summer, particularly during the peak periods, up to 3,000 people cross the Gorge of Samaria daily. They usually start around 08:00 in the morning, so as to reach Agia Roumeli at noon, to dive into the blue sea on the beach and take a ferry to go to Sfakia and Paleochora. If you prefer a calmer descent, start around noon and spend your night in the rooms of Agia Roumeli. 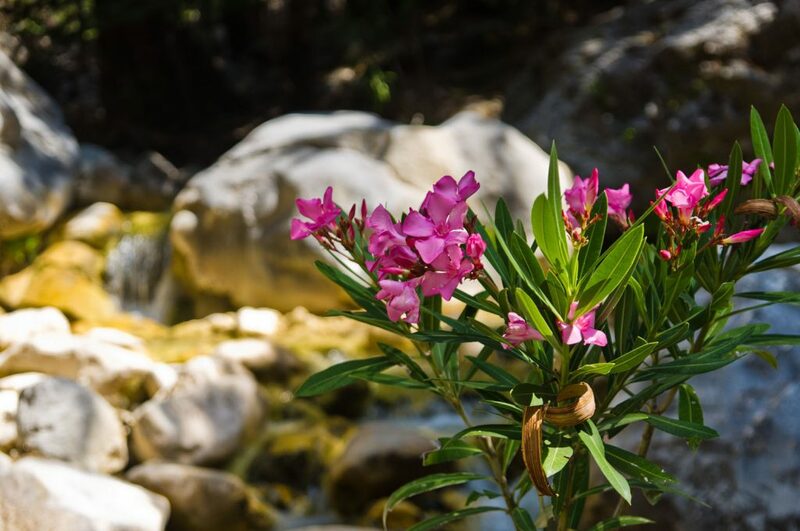 It is advisable to enter the Samaria Gorge lightly dressed, with special hiking shoes (known as mountaineering boots), to bring a snack and of course a hat and sunscreen lotion. Water you can drink from the sources of the gorge, that you will encounter very often on your path. Along the route you will also find toilets. The rules that you should follow while you are inside the Park are inviolable and help in its conservation. You will encounter guards very often, and they will solve any questions and also help you in whatever you need.